Remember that you are doing this for you. 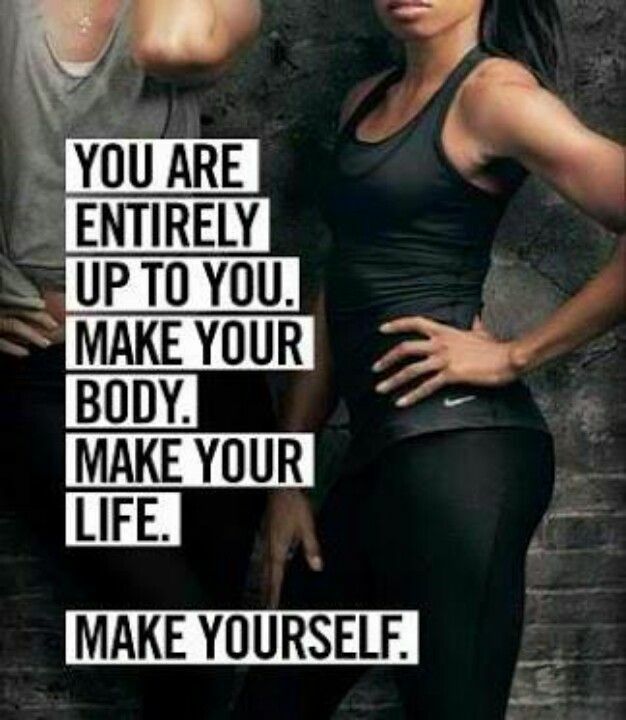 You are recreating your body and pushing yourself to be healthier and fitter for yourself. You aren’t doing this for your mom, dad, best friend, boyfriend, society, or the media. You are doing this because you love yourself and you want to be walking around in a body that you love and that you can embrace. Love who you are and work towards being a better version of yourself every day. You are working towards bettering yourself, and no one else is a measuring stick of that. Love you and focus on you. No one else can do a better job of being you than you so fight for yourself and who you want to be.